Yesterday was 2 Months into DeltaPoints blogging and what a day it was. Eye-opening! Selfish – adjective – devoted to or caring only for oneself; concerned primarily with one’s own interests, benefits, welfare, etc., regardless of others. Greed – noun – excessive or rapacious desire, especially for wealth or possessions. Fear – noun – distressing emotion aroused by impending danger, evil, pain, etc., whether the threat is real or imagined; the feeling or condition of being afraid. While I have been flying NWA/Delta for over a decade, what I have learned in the past 3 years has been remarkable. I feel a burning need to give back to those who are just learning and come after me. I use stopovers and open jaw tickets. More should take advantage of this. Reading the comments from yesterday shows that apparently other airlines permit similar routings to Delta although I had no idea as I do not fly them much. The negative comments about his decision to invite the press on his blog afterward turned my stomach. Points did not go away. Did the millions seeing the show impact how many points we get on cards? Who knows. Will we see less points on cards going forward? Who knows? Are banks more aware of us? Maybe. FTG shares what he knows. I so respect him for all he does and the stand he takes. Yesterday’s post I shared on FlyerTalk and Milepoint to help more learn what I know and pay back the debt I owe. The reaction by many made me want to get out a Delta air sickness bag and fill it twice. It seems the risk of helping others is – in the opinions of many – too high and I guess my post was so clear even Delta could understand what they offer. I give our beloved airline more credit than a 4th grader. 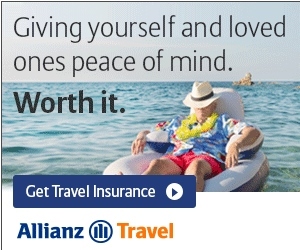 They know what they offer and from the comments from readers other airlines offer a similar program with their points. I can tell you this. I have had many outstanding emails and private messages about my post yesterday. I took down the post on FT and MP but not at MY BLOG. After the reaction to this, I pledge to do just what those in fear are most afraid of! I will double my efforts to do my best to post all I can to help my readers. I will not be selfish and keep information to myself or an elite few. Greed to get the most for myself will not keep me from sharing with you my readers! ← Another value of Delta Skymiles get 3 trips for the price of 2 even in FIRST CLASS! keep at it. thank you for your help. I appreciate everything you do and all the information that you publish. DOn’t be discouraged by those that want to silence you. They were looking for information when they found you. I think you are taking it too personally. There are a few things that are fairly well known routing techniques that people prefer not to share all over the place. This is not because they do not want to help people, but because they wish to allow people to be helped by the techniques long-term instead of a flash-in-the-pan type of thing. For instance, I am aware of a technique on an airline that allows some really serious travel for not many miles at all. Am I being selfish by not putting that on my blog? No – I have helped many, many people on a one-on-one basis by sharing and helping to book their tickets for trips they would never otherwise be able to take. To make that technique known would call attention to the ease with which people are booking trips outside of the normal techniques and that WOULD get that door shut. That would impact many people who have planned a points strategy for a year in advance and cause them to have to reconsider their point earning strategy as they have lost a significant value. Sorry to be cryptic, but I don’t want to ruin it for those who do their homework and find a better value than the redemption chart shows. I am glad you have your principles on this, but don’t get mad at others, especially when you have no idea if they are being selfish or not. They could be helping friends and family on a much larger scale than your blog readership, yet you publicly sharing something may cause the right person to see and assume the floodgates are going to open on working the system to the most advantage – game over. One more thing – a reason people may get ticked at you for sharing this stuff is also that they may view YOU as being selfish. It is well-known that blogs post things that may be controversial simply to raise their visits, page clicks, and advertising revenue. I am not saying that is what you are doing, but that is the perception since it is what happens out there. Keep writing, but don’t step on peoples’ toes for the sake of stepping. I appreciate your effort. Many other do as well. Keep up the good work! @ UoMDaddy, Ron, Bill, Nickfrmct – many many thanks! @ Charlie. I disagree with almost every word you said. In fact I think you make my point. You know info and will not share unless we “know you”. Great for your “click of friends”. How about the rest of us? Yes I will stick to my principles. As to driving interest to my blog, as I am sure you missed, on the FT & MP post I took out any links back to my blog IN THE POST (yes I have my tag line but it never changes). In the post at my site I have links to other parts in my blog. So I will leave it up to the readers what the point of my post at FT & MP was! I could not find your post on MilePoint, what is your name there? Love your posts – its great to learn how to better manage my travel life. @deltagoldflyer, i fully support your argument. I have been doing this for years, with no problems. Ignore the nay sayers, as they will always be out there. Thanks for your posts! Thank you for your efforts. I really appreciate reading your blog. Even if I never use a tip it is interesting to learn about what is possible. Right on my friend. I get a lot of help on FT but am upset by the “top” elite flyers who feel that the release by airlines of promotions that increase the number of people who can qualify for elite status is taking from them a God given right to remain a small clique. Sure they travel a lot and their companies deduct that expense from income, so really the taxpayers are subsidizing their status. Their narrow minded few of entitlement is a pure greed agenda. With help from guys like you we all have a chance at catching the brass ring. @Charlie – I agree 100% with your post! Thanks Rene. Maybe I will see you on the Utah slopes some day (I am a patroller at Powder Mountain, FYI)….would love to buy you a beer. Love your blog. Ultimately, it is the goal of any airline to fill their planes with passengers rather than to fly them half-full or even empty. Whether Delta is paid in points or miles for the open-jaw ticket seems to be a moot point given this fact. Let’s say that 1 percent of Deltapoints readers will actually implement your miles redemption scenario. Given the award ticket set-aside for seats on hub routes, it is likely that your redemption strategy might not even work for 1/2 of that 1 percent noted above. I sincerely doubt that the good folks at Delta are freaking out at the prospect. Rene, as a newbie to the world of points I appreciate your insight and help. Thanks for everything! @ John – you have the right to your click. I will share what I know! Good for you1 keep up the fight! Good on you for keeping it up! I still think you should try again on FT though – and only remove it if the mods force you to. (As you have said), they are selfish and whatnot, but also remember that they shoot down everyone, not just you, especially on the Delta forum for some reason. I’m 100% behind you. Everyone had to start at the begining at one point. Thanks for your blogs! Charlie sounds like he is from the FT crowd vs the MP crowd :), jk.